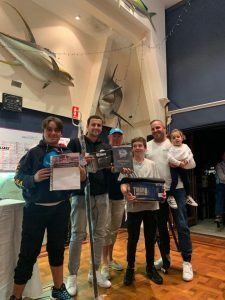 The Sydney Game Fishing Club, located in Sydney’s Watsons Bay, hosted the Peter Goadby Memorial Tournament over the weekend of 13th and 14th April 2019. 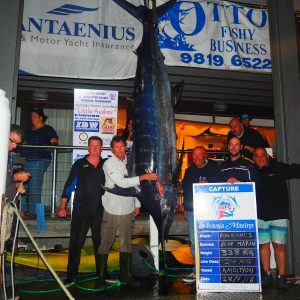 The tournament is proudly presented by Little Audrey Charters, Australia’s premier luxury game fishing charter. 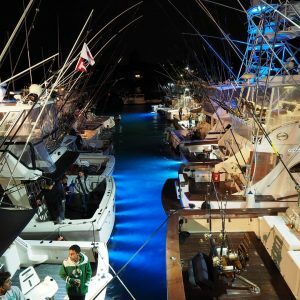 The tournament saw glamourous conditions and with the prize pool including $50,000 in cash, a total prize value of over $80,000 and a historical big fish. Over 50 boats took up the challenge and the fish arrived on cue and did not disappoint. 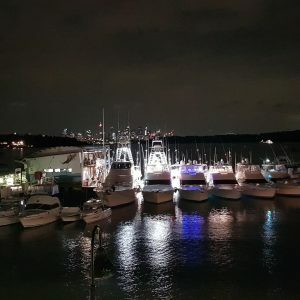 With reports of good numbers of marlin, tuna and sharks throughout the entire fishing zone, the fleet stretched out between chasing the Stripes on the inshore grounds, while the sharkers and those chasing the big Blues and yellowfin went wide. Between the fleet, there was a total of 86 strikes and 67 hook ups. 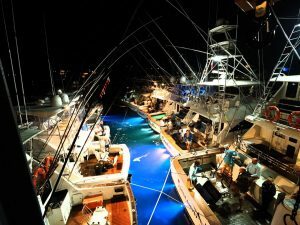 25 marlin were captured or tagged, which comprised 21 Stripes, 1 Black and 3 Blue marlin. On the yellowfin tuna front, 9 were caught with many more big barrels earning their freedom while the sharkers got a mixed bag of tigers, makos, whalers and blue sharks. 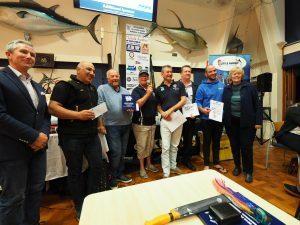 Congratulations to Zorro who took out Champion Boat Tag and Release, Undertaker who took out Champion Boat Capture and Rabbit who took out Heaviest Marlin over 250kg and the $50,000. Sydney Game Fishing Club would like to thank all of the competitors and sponsors who made the tournament possible including: Little Audrey Charters, IBW Constructions, Short Marine, Sylvania Marina, Furuno Australia, Marina Bayside, Ottos Tackle World, Pakula Lures, Fishing Station, Sydney Harbour Exclusive, Lewis Financial Management, Dalbora Marina, Okuma rapala, Costa Sunglasses, Black Pete Tackle, Sheldon & Hammond Victorinox Knives, Tantrum Lures, Collin Forrest Jewelry, Wellseys Tackle, Global Tackle, Cons Milk Bar, Bowies Diving and Coffee Den. SGFC does not support the proposed Hawkesbury Shelf Marine Park. Below are some ideas to ensure your voice is heard. Register your support at the Stop the Lockout website and facebook group. Send a letter to your local member explaining why the marine parks proposal is flawed, we’ve created a simple template to give you some ideas. Click here to download the letter template. 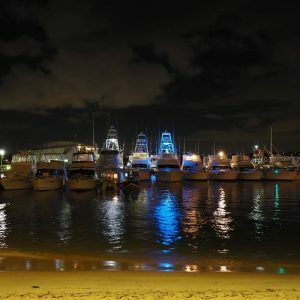 Attend he Anti-Marine Parks Lockout Rally – Thursday 27th September in Sydney. Meet at Hyde Park from midday, march begins at 1:30pm. A big thanks to all who participated in this year’s Monster Mako Shark Tournament. As a quick tally we tagged 39 Mako Sharks, 14 Blue Sharks, 2 Thresher Sharks and a Whaler Shark plus a few were captured. Fingers crossed also for 13 Year old Makira Wright with her 139.5 Kg Mako Shark on 15kg pending National, NSW and Club Record. Well done Makira! 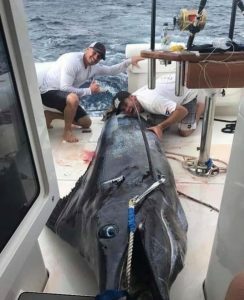 The annual Geoff Woolley Memorial Monster Mako Tournament will take place on August 4th and 5th. Fishing starts at 7am and ends at 4pm each day. SGFC is proud to announce that the annual Tuna Slam commences on July 1st and runs through until the end of August. Entry: $250 per boat (regardless of anglers) . Event runs for entirety of July and August, boats can fish as many days as they wish. Entries will be accepted throughout the event but must be received and paid for before boat leaves port on day of fishing. Prizes: 40% of cash pool to heaviest Blue Fin tuna and 40% of cash pool to heaviest Other Tuna. Fish may be weighed at vessel homeport – refer rules for specifics. Fishing are is limited to SGFC prescribed waters – which essentially extend from Norah Head to Wollongong Lighthouse and 60 nautical miles seawards from the Coast.